We offer custom-made orthotics which are made with a laser to create a three-dimensional model of your foot. We can also use the same machine to make a custom diabetic shoe. Don't let diabetes lead to neuropathy problems, infections or other troubles for your feet. Take care of them properly with help from Hill County Foot & Ankle Specialist. 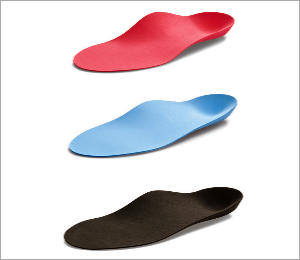 Take care of your feet with our custom-made orthotics.